When a dog meets the right owner, it makes an instant connection and immediately becomes part of the family. But far too often owners pick a dog that’s unsuitable for them. We recently conducted a survey, which revealed that 30.71% of people did little or no research into dog breeds before buying their pet. We understand how this can happen – a pair of soulful eyes, a wagging tail – it can be difficult to resist, even when you know deep down that this particular pooch is not really going to be the best fit for you and your family. The problem is, a pet dog is a major responsibility, and it can be an expensive one. Our survey underlined this point, with 28.63% of owners finding their dog to be more expensive than expected. A significant chunk of this expense is likely to come from vet bills, with 32.23% of owners finding their bills to be more expensive than they’d anticipated. 35.73% had no pet insurance, which can be a dangerous gamble, as vet visits, both unexpected and planned, can add up fast. Indeed, of owners who had taken out insurance, 47.58% believed it had been a life saver. 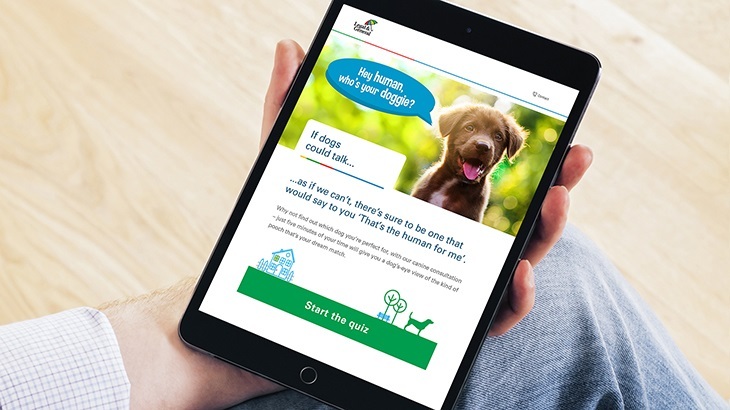 We’ve decided to do what we can to help, by turning the tables – creating a questionnaire that can help you choose the right pet – because the dogs ask you the questions. Then your answers will tell you which breed of dog would most suit you, your home and your family. So, human, who’s your doggie?